Ramen Burger - yay or nay? Last year I was approached by Esquire Magazine to produce some illustrations for a Food and Drinks Awards feature in the US edition of the magazine. As you can see I got to paint an interesting selection of subjects. 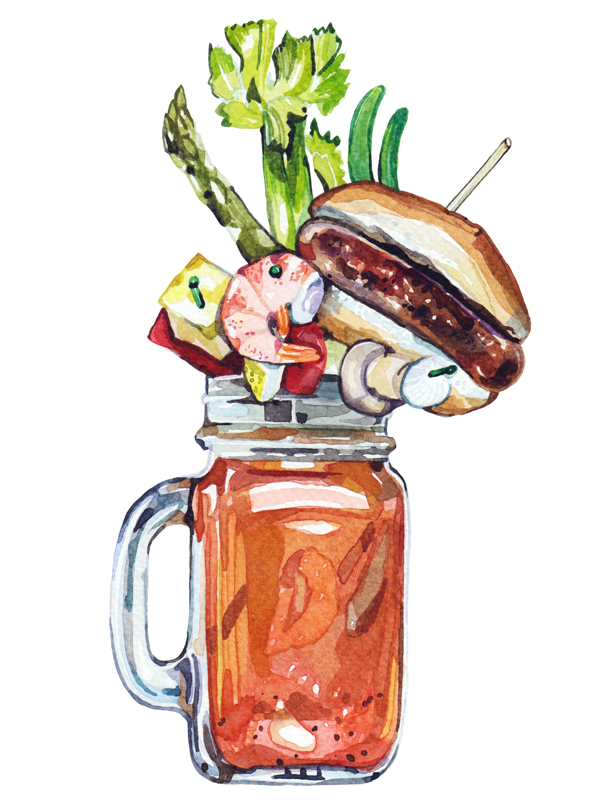 I loved painting the bloody mary - which I couldn't believe actually existed - but apparently 2014 was the year of the obscenely stacked bloody mary, complete with hot dog, asparagus and prawn kebab. My mouth is kind of watering? 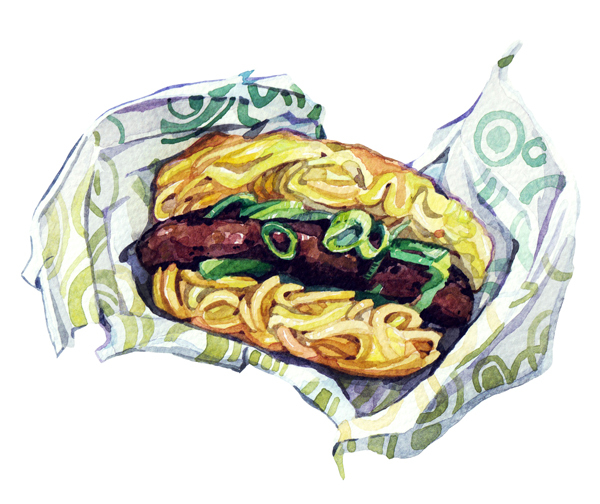 As well as the bloody mary illustration, I also painted a ramen burger (I must meet someone who's tried one!) 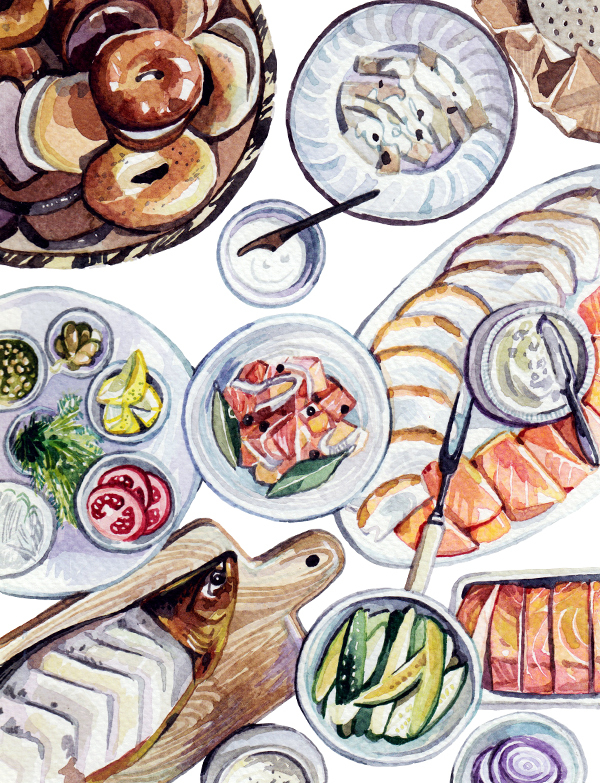 and a table top spread from the infamous New York restaurant Russ & Daughters. Lastly their was an article about protein - and a complaint of its recent use across restaurant menus - apparently "unappetizing". 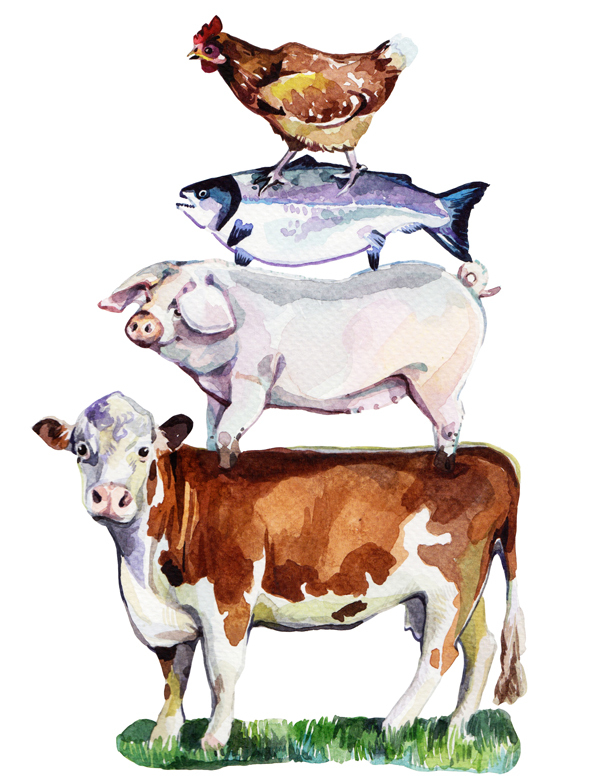 I chose to paint a pyramid of farm animals, an array of protein, as I wanted the illustration to be light-hearted and silly. 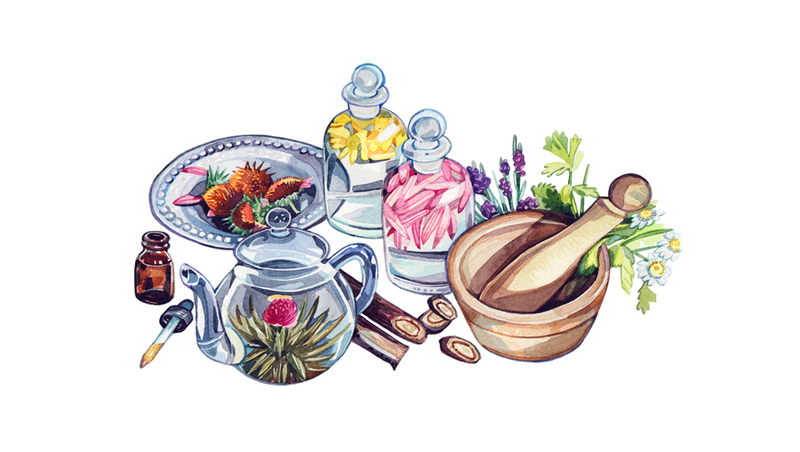 Hope you like this set of food illustrations! May I ask, do you draw first? I don't notice pencil lines in your work. Thanks :) Your work is so inspiring. 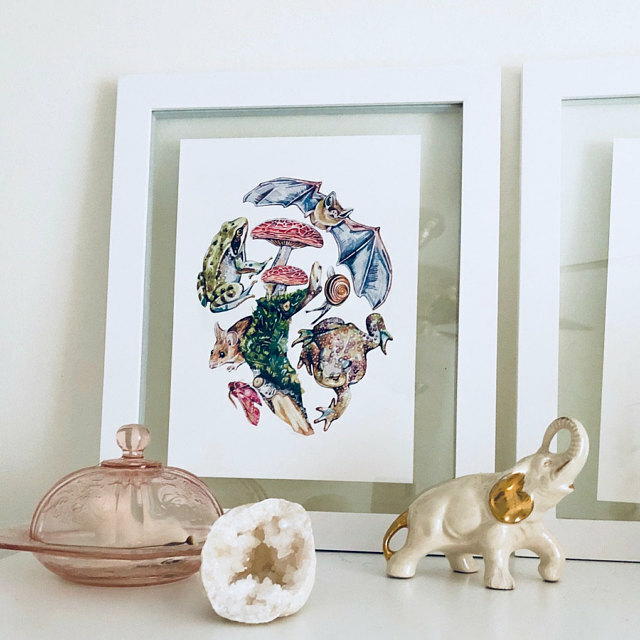 Really liked the theme of your blog as well as the pictures. They were very informative. But please add more written content to make it fun and crazy. Loved the pictures.